Max Craven’s last-minute penalty kick ensured that the Varsity trophy would remain in the hands of Trent for another year after what proved to be a close encounter between the two rivals. Trent started the game as the stronger side and went ahead after only 12 minutes at The Bay after Tom Wootton bagged the first try of the afternoon. Craven stepped up and confidently converted for Trent, giving them a 7-0 lead inside the first quarter of an hour. It wasn’t to last however as a sloppy pass allowed Zuriel Makele to pick the ball up deep within his own half and run the length of the pitch to score UoN’s first try of the match. Alfie Orchard made no mistake with his conversion and the scores were level again after 21 minutes. Despite dominating, Trent were unable to find a way back in front and were instead caught by surprise when Orchard scored a penalty to give UoN the lead with the last kick of the first half. Trent rallied during the interval and raced back into the lead when Jake Farnworth broke through and scored NTU’s second try just 6 minutes after the break. Craven converted again and the score was now 14-10 to NTU. Orchard’s pinpoint kicks continued to cause Trent issues as his superb penalty from midway inside the Trent half pulled UoN back within a point on the 50th minute. 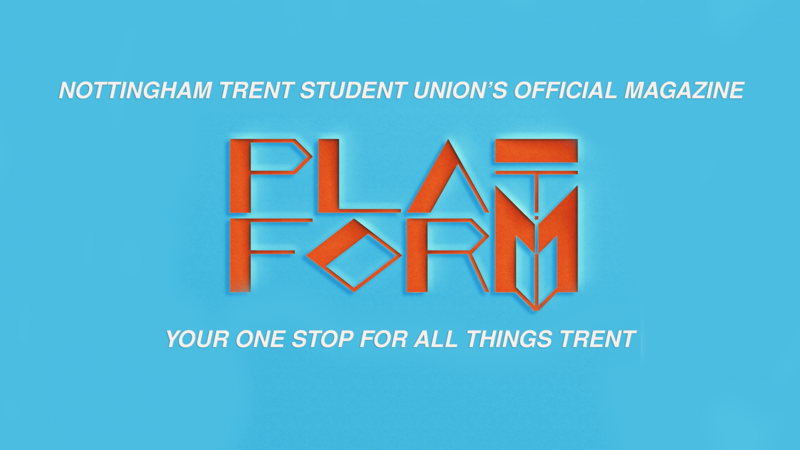 Trent remained unfazed and began to pile the pressure on and it wasn’t long before UoN’s defence gave way again. Another try for Trent followed just four minutes after Orchard had pulled the Green and Gold’s back into the game. Craven missed his conversion this time. He wouldn’t miss anymore however as NTU’s number 15 calmly slotted home a penalty on the 66th minute to grow Trent’s lead to nine points. With the score at 22-13, Trent looked comfortable and in control. That was until another error at the back allowed UoN to slip into the Trent 22 and Jamie Maddern went in under to put the Green and Gold’s right back in it. Alfie Orchard stepped up and successfully converted again to put UoN just two points behind with ten minutes to go. It was to be Trent’s day however as the NTU team ground out scrum penalties within the UoN five for the last ten minutes. Thus, killing off any chance of a counter attack and fashioning a chance for Edward Morgan to score with the last kick of the game. The final score: Nottingham Trent 25-20 University of Nottingham. NTU were deserved winners in this year’s varsity. They dominated lineouts and their pack was near unmovable at times. This year’s win makes it five games and six years unbeaten for Trent in the Men’s Rugby Union Varsity. 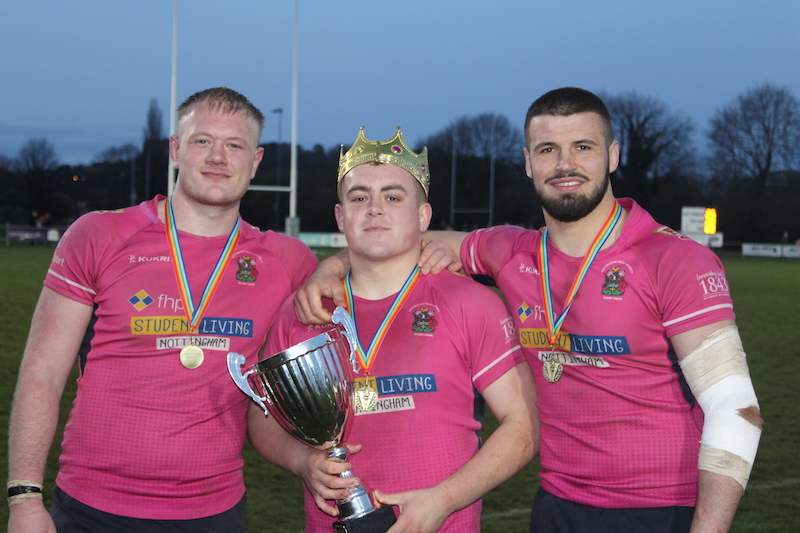 Whilst the UoN side have certainly improved from last year’s meeting, NTU’s quality showed and they rightfully retain the varsity trophy for another year.